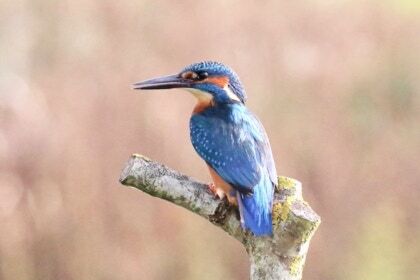 The stunningly beautiful Kingfisher must surely be top of the list for everyones favourite bird. 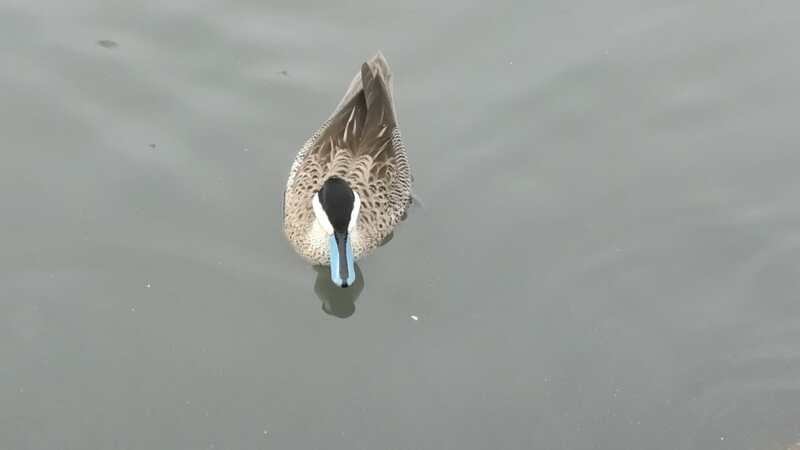 It is often seen as it flashes by low over the water with its unmistakeable electric blue back and orange breast. They are around 17cm in length with a wingspan of 25cm and they weigh in at 34 to 46g. 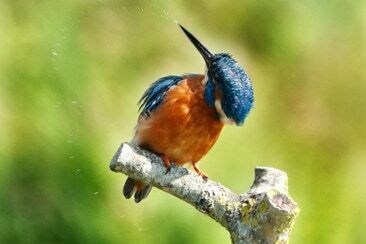 They eat mainly fish and are often seen on a perch above a slow moving stream or pool of water. Once its prey has been located it dives with beak open and eyes closed by their 3rd eyelid so is temporarily blind as it catches the fish. After impaling the fish on its long pointed beak it will return to the branch where it repeatedly strikes the fish against the branch to kill it. It swallows its prey head first to avoid the spines and must eat its own bodyweight in fish each day. They are extremely territorial and cover at least 1 km of river for feeding and breeding. Around February the male and female pair up and excavate the nest burrow of a vertical bank to deter predators. The nest tunnel is around 60 to 90cm long and around 6cm wide and no nesting material is used. They lay 6 or 7 eggs late March or April . Both adults incubate the eggs and the chicks hatch 19 to 21 days later. Each chick require 12 to 18 fish a day and take it in turns so when fed they go to the back of the queue where they digest their meal. They leave the nest when they are around 25 days old. The parents feed them and teach them to fish for 4 days before driving them out of the territory to start the next brood. Most don’t make it past the first year. They are a Schedule 1 species which means it is illegal to disturb them when nesting and are amber listed. 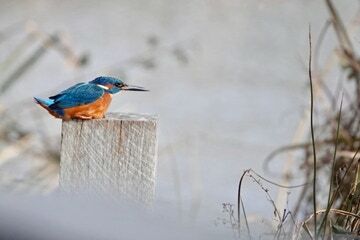 I have spent many hours watching a kingfisher and it still remains my favourite bird of all time!